My day began at 8:30ish, but I tried to sleep go back to sleep for an extra half hour because my roommate forgot her key and needed me to open the door for her the night before (she returned at 3am….so I slept for about five hours…maybe?). For breakfast I made a saltless omelet and toast. (eggs and bread are a reoccurring thing in my life). Franz and Chess came over and helped me put on the kimono I put on a couple of days ago. It was mission and a half; even YouTube couldn’t help us! So we decided to visit the shop where Chess and I originally bought our kimonos, and we also needed socks and sandals. 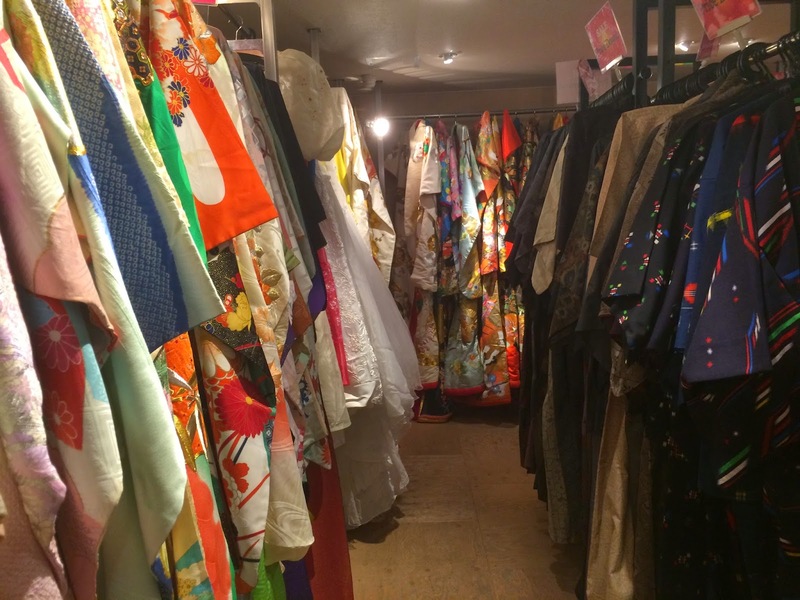 When we arrived to Sanjo-dori the owner of the store was kind enough to help us straighten out our kimonos. She told us that we did a pretty decent job for it being our first time tying an obi (and by our I mean Franz, he tied both our obis). At Sanjo-dori we met up with Mitch. Mitch is also part of the Japanese summer program. He is from Oklahoma and an architecture major. He accompanied us to Gion district where I had my maiko transformation at the Aya Studio. 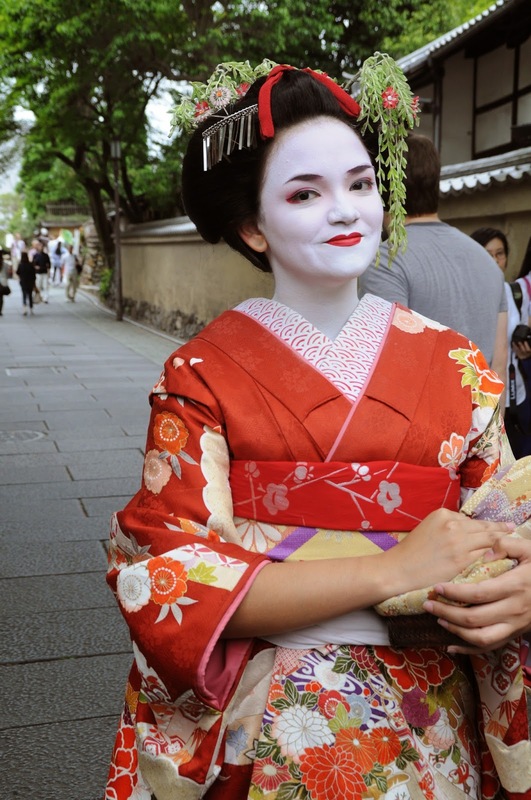 A maiko is an apprentice Geisha, they are the ones with the full-face white make-up and the decked out kimono with the really long sleeves. 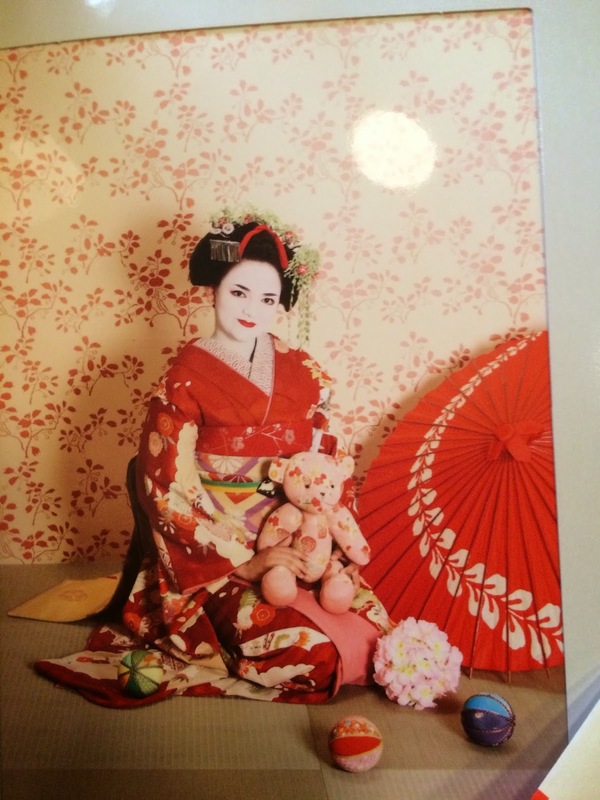 When I found out that dressing up like a maiko was a thing in Kyoto I was really excited! I did so much research finding the right place that will be worth the money. I had my appointment booked for about 2 months in advanced. The studio was in an old traditional Japanese house, I think it was once a teahouse, but I am not exactly sure. Anyways we got there and they allowed Chess, Franz and Mitch enter and made them wait in the waiting while I went to get my make-up done. 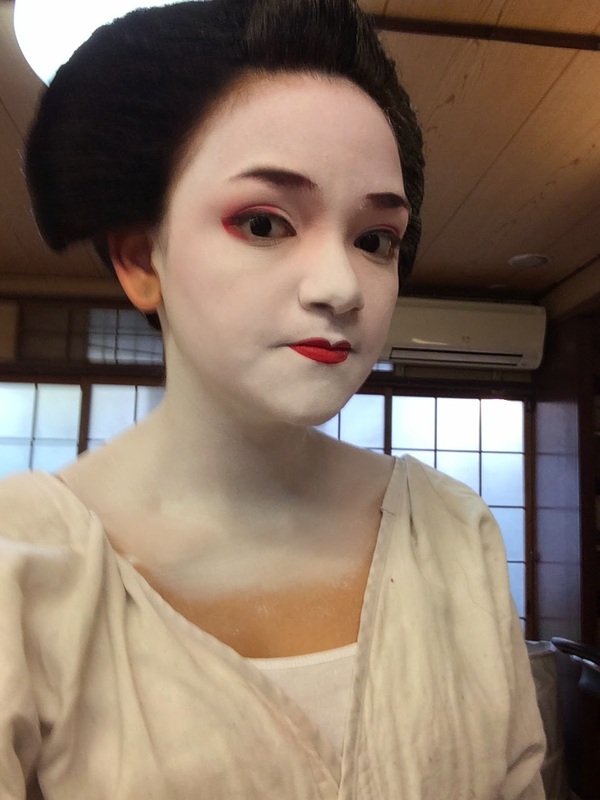 Getting my maiko make-up done was an experience, there were a lot more steps than I anticipated. 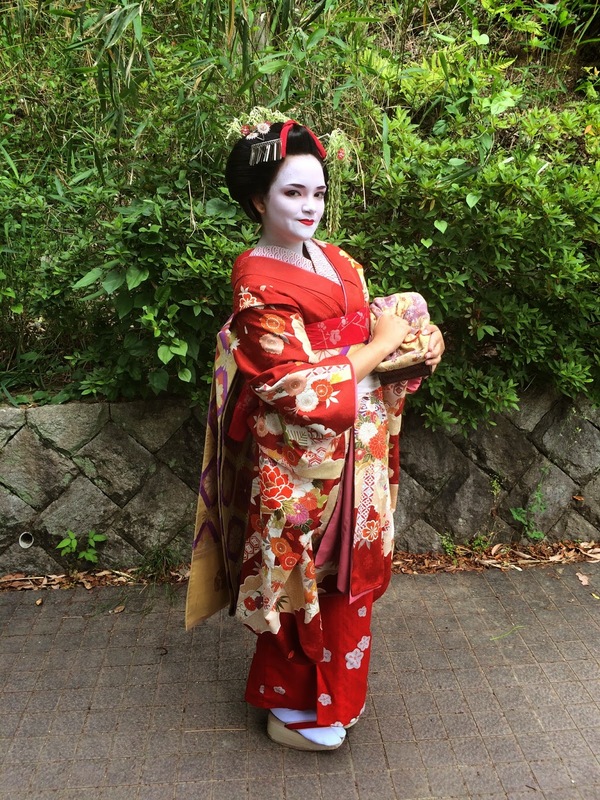 It began with the maiko lady wiping my face with baby to wipe any make-up or dirt. Then she put a waxy base, according to her it is to keep the make-up from running if I started to sweat. After the wax was all over my face she got a brush and dipped it in the famous white paint and began at my neck. The paint was very smooth, it felt like someone was drawing on me (and it was kinda true). The maiko side of the maiko transformation cannot be filled because there are women there in flimsy bathrobes and it would be rude to film half-naked women. Anyways, after the white make-up was covering my neck and face, I looked like a ghost or demon that came straight out of the grudge. I always wondered what maiko used to not look like ghosts and the answer is: baby pink paint. I was really surprised when the lady began brushing pink paint on my face, but it made sense, because it gave me colour (slightly). After the pink paint was applied the make-up artist patted my face dry with white powder and blended the pink into the white (which was totally weird). Once my face was matted and dry she began my eyebrows. First she filled them in with red and then later retraced them with black. I had never had such nice eyebrows in my life! Next she did my eyes and did the same steps, first red and then black, the made my already small eyes even smaller. Same with my mouth, when she applied the liquid red lipstick she made my small lips even smaller. This is because the whole idea of petite features is what is deemed attractive in Japanese women. Next was the wig. Part of my hair was attached into the wig with bobby pins and then the wig was kinda sewed into my hair. Quite literally, and it gave me a headache the whole time I had it on. The sections of my hair that became part of the wig were waxed and spray painted black. Then I was led upstairs along with Chess, Franz and Mitch where six layers worth of kimono were put on me. After I was fully dressed I was led to the studio area where I got some professional shots taken in different maiko poses. 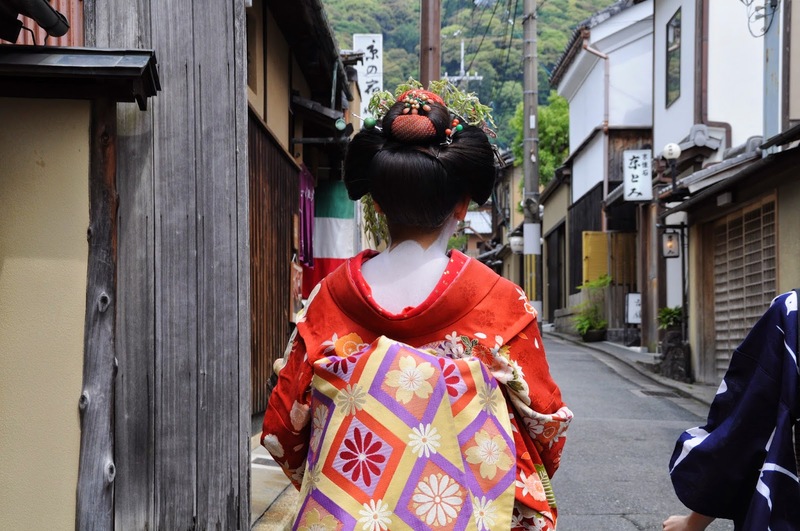 The maiko experience packaged that I chose included a 60-minute walking plan where I could walk around the Gion district as a fully decked out maiko! It was super fun and I got stopped a couple times because people wanted to take pictures with me, because they thought I was the legit thing. (I avoided speaking English to try to keep it convincing). We walked on Nenenomichi street and visited the koudaji temple. 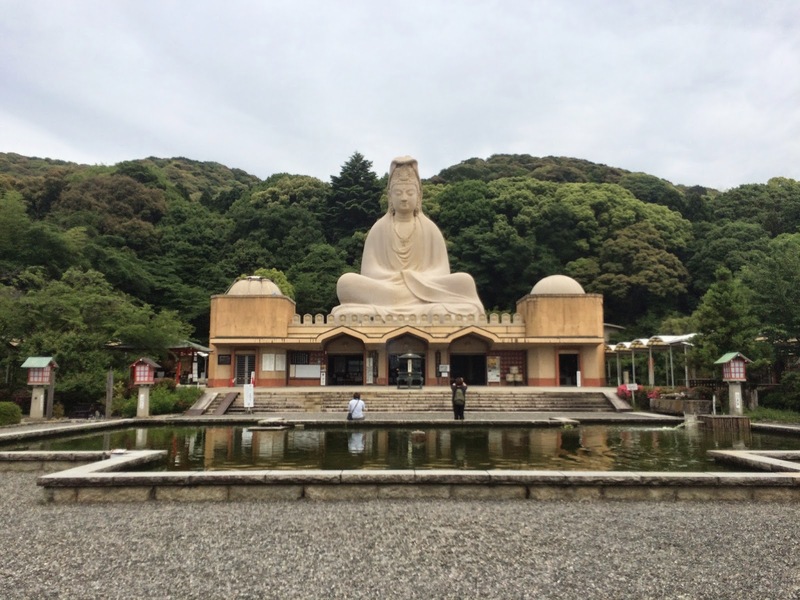 The koudaji temple was built in memorial of all the nameless soldiers who died in battle during world war II. We would have explored it a lot more but I was not about to walk a bunch of stairs in really tall wooden okobo shoes and a 6-8 layered kimono! I got some pictures taken by my friend Franz, they turned okay, the problem is that he switched the camera setting from automatic (I set it up for him this way) to manual and pictures came out of focused, under exposed or over exposed. Hopefully I can salvage them with photoshop and lightroom! n the kimonos they have in stock not random ones. 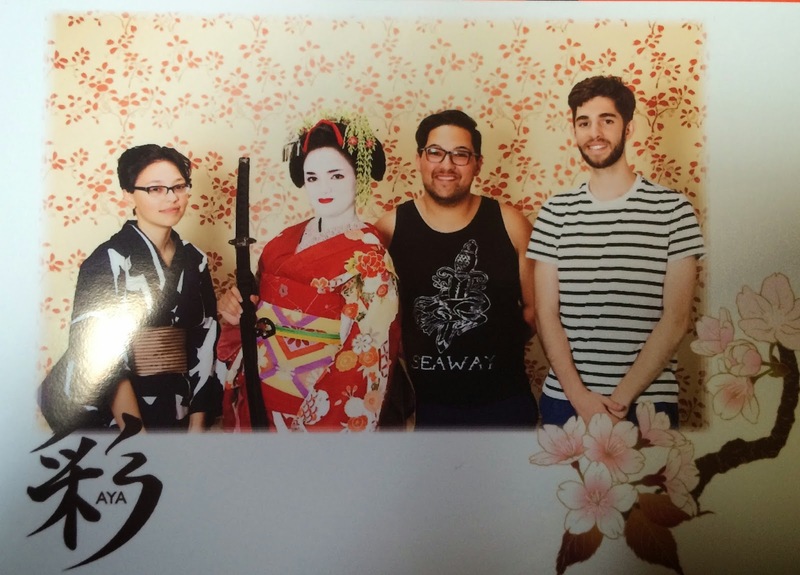 But I am super grateful that they were willing to help put on the kimono on. After it all was all done I saw that Elaine was in the waiting room with Chess, Franz and Mitch. All five of us got on a bus and headed back to Sanjo-dori. 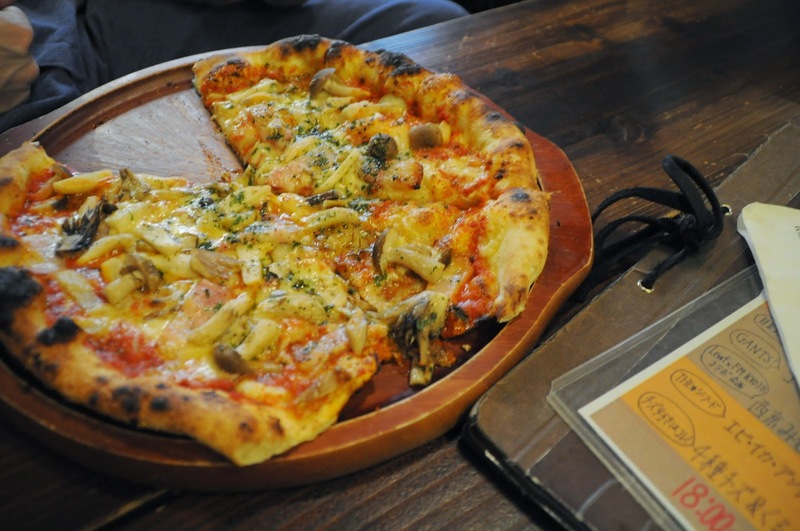 There we went to Sanjo Market and ate pizza. 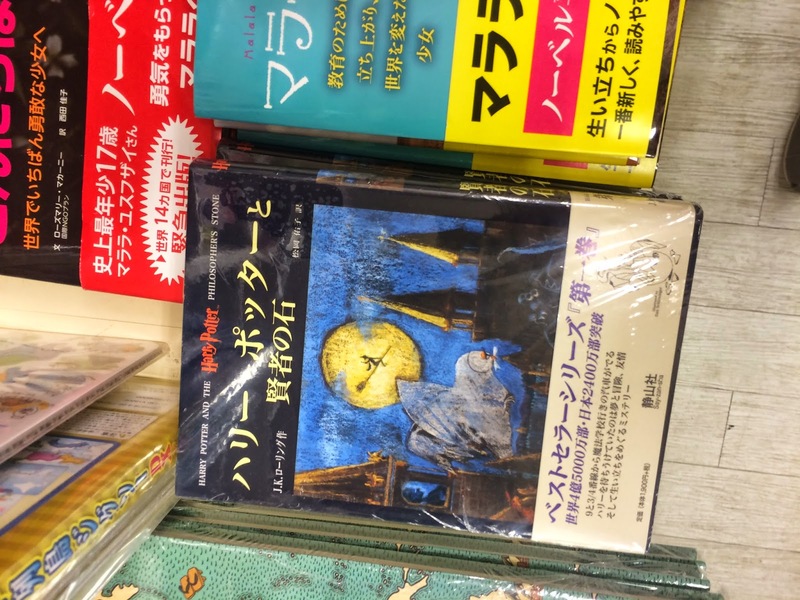 Then we walked all away to Ninjiki district where I finally decided to purchase Harry Potter and the Philosopher Stone in Japanese. Chess bought a bunch of Japanese manga, but Chess can read Japanese 10x more than I can. By the time were leaving the book store by feet were killing me because I was still wearing my wooden sandals (couii). Chess, Franz, Mitch and I strolled around the Ninshiki mall that I was previously at with Riley and Michelle not too long ago. There Chess purchased two more yukatas, Franz bought clothes for a friend, Mitch bought himself so socks and I bought myself a Cardcaptor Sakura Anniversary badge (I also bought the special edition manga too, but I was strong and I didn’t…yay me). Around 9ish all the store began closing down and all of us headed back to Sanjo-dori to drop off Mitch at Seed in Nijo (which is in Sanjo Market). Also, Franz needed to stop by Fresco to buy some more groceries. Fresco is like a Wal-mart. 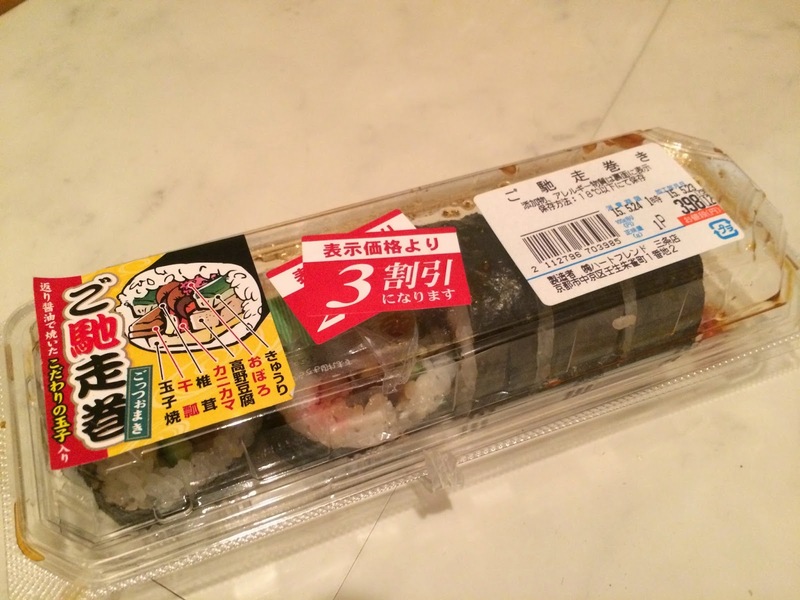 There I bought some beef croquets (because I was super hungry) and some sushi. I would show a picture of the croquets but I ate them on the walk back to the accommodations. 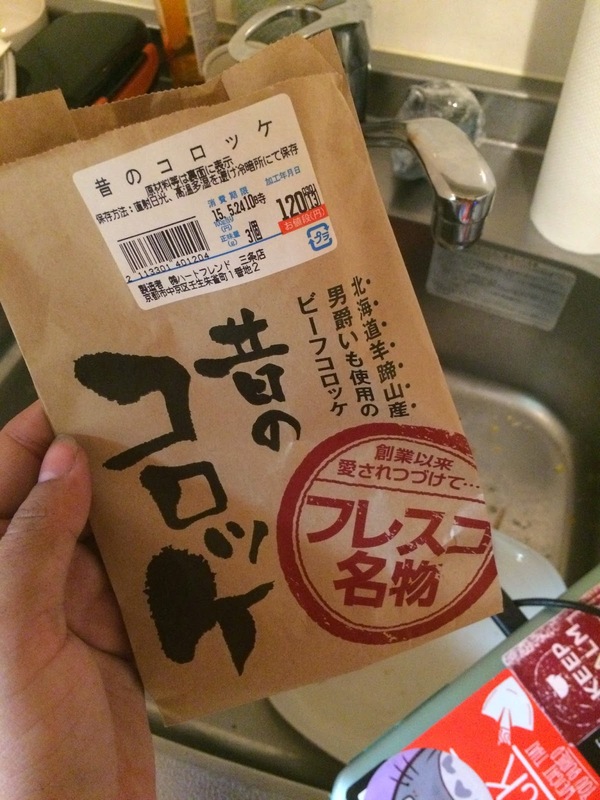 I also bought: salt, cinnamon, and flour (guess who is making pancakes tomorrow!). Then…I got locked out my room. I am currently writing this post in this post in Chess’ room because I got locked out of my room as I walked Chess out the door (They had left their shoes in my room) and my hand slipped and the door shut on me…my key was inside. I texted Michelle (my roommate) to see where she was and she said she was out eating and did not know when she was coming back. I was super angry, but more to myself for screwing up so majorly. But it worked it because she came back at a reasonable time.